With more ammenities, a fast-paced Action River, and a giant second wave pool, Soak City is sure to please all of Kings Island's waterpark fans. Follow the link below to see the latest Soak City construction photos shared with us by Don Helbig. Fantastic! In the first picture it really looks like they will be adding new scenery by the Action River! The area did truly need a touch up and I think they are doing it justice. First thing is doesn't anyone feel we need a relaxing river too? Will there be one added in the future? Also the names soon would be nice, I'm sure they have them. Also when will be the next year for a water park expansion with new slides, without removal of old ones? Also doesn't anyone else feel the removal of something like the nestea plunge was a mistake? water coaster longest and best in the world 2013! You could only hope. Really? Thats all you care about? 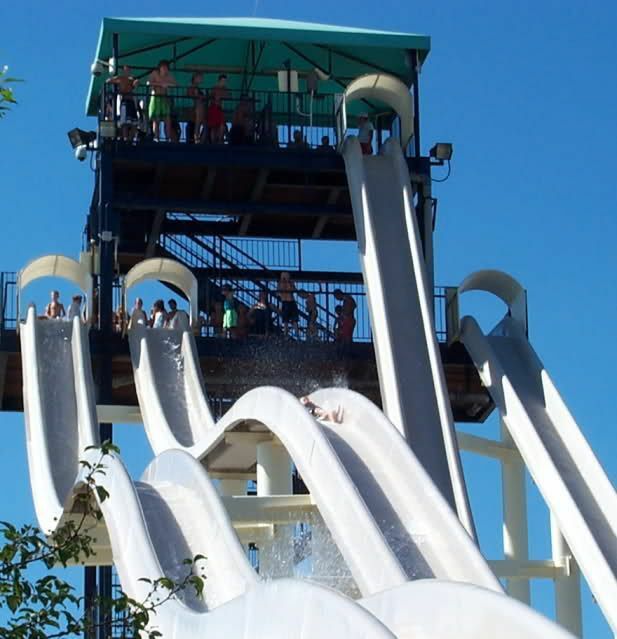 Its not like the slides in the water park haven`t been renamed once already. So its not like a name of a water slide is that important. I`m just looking forward to amusement parks opening up again. And seeing what changes they do to the water park in terms of sprucing it up. Cedar Fair has done a nice job with Rivertown, and Coney Mall so far. Removal of the nestea plunge? What was that? Well, those were removed with the last renovation to the water park. Personally, I never went on the previous incarnation of those water slides...The racing slide (formerly Coolangatta Racers), is a fun water slide. I still think its ashame that they aren`t adding another water slide or two to the water park. I do think the new pathway connecting back to Snowy River Rampage (the four person family raft ride at the back of the original water park) will be a big improvement. Are you guys talking about Fast Tracks? Regarding westcoaster's question, asking whether FT's removal was a mistake, I'd have to say that it wasn't. Sure, it may have been one of the more thrilling attractions, but its replacement (Coolangatta Racer) looks nicer and is a better family attraction. Plus, I think it requires one less lifeguard to operate, cutting costs for the park. I'm kind of disapointed in the action river. Can't us old people have a nice ride to just relax on? Yes, that is the slide I was referring to! I agree, Coolangatta Racers looks a lot nicer than those speed slides. I'll miss that Aussie voice giving us instructions in the water slides' ques. I can't wait to use the new 650,000 gallon family bathroom! Now now. Lets not talk about AFRs. Remember, this is a family site after all! They need a slow river for sure. First thing is doesn't anyone feel we need a relaxing river too? If an "action river" is what I think it is, it can also be relaxing. The comparison that comes to mind is the lazy river at the Fort Rapids indoor waterpark in Columbus, which I've been to a few times. There are water fountains that randomly spray, a long stretch of refilling-dumping-then refilling buckets perched overhead to spontaneously soak you, hanging hoses to grab and spray at one another, etc. Half of it is entirely optional, and the parts that aren't (like the buckets) have "bypass streams" you can take to avoid them entirely. You aren't forced to partake in any of the "action" if you don't want to. I don't know if KI's will be similar at all, but if I had to guess, I'd say it'll be along the same lines. Just like how guests on the flume can avoid spurting Snoopy (née the gushing elephant). A spritz from a Snoopy is different than a number of high-pressure hoses spraying from both sides, if you ask me! On what was for many years a relatively dry flume, gratuitous spurting keeps many grandparents and parents from riding with the littler set. If Mr. Ouimet is serious about rides the entire family can do together, he would do well to think about gratuitous spurting on log flumes (not to mention Shoot the Rapids). Had'nt been to the fort wilderness, done great wolf, the ones up north in sandusky, and the pirate one that is indoor above holiday world, that was not too bad. 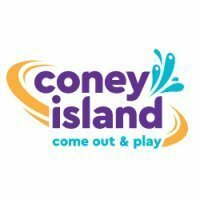 I live out in vegas, but try to get in to KI, our park minutes from where our live is suppose to open Memorial day and so much of it seems not even to be started on . It will be a hawaiin falls, owned park. Could they ever make the wet side a seperate park, does anyone think that could happen? How's the beach doing in Cincy would KI /Cedar Fair ever buy them if they had the opportunity, I do like some of the attractions at the beach. Will they add some new stuff? Regarding the park's log flume being "too wet" because of the elephant/Snoopy, I feel like that's saying Diamondback is "too scary" because of the drop. Just like the drop makes Diamondback scarier (something many people want), the elephant/Snoopy makes the log flume wetter (again, something a lot of people want). Regarding the park's log flume being "too wet" because of the elephant/Snoopy... the elephant/Snoopy makes the log flume wetter (again, something a lot of people want). As for squirting Snoopy...on a hot day I say bring it on! My problem is on the chillier days MOST people do not want to get wet...but they like the ride enough to gamble not getting too wet only to have their fate sealed by Snoopy...which on a chilly day/evening is neither fun nor necessary. Call me a wuss if you want...but I feel confidant that I am not alone in my "wussyness". Another scenerio that has played out in my life for the last 4 years is that my young nephews want to ride it no matter what the weather...and I can't say no...so I am the one who leans forward to take the full Snoopy squirt so that they do not have to be cold & wet. Maybe a good rule of thumb for the park should be is that if the photo booth isn't open (Because it's a chilly low ridership time period.) then Snoopy should also be turned off. The Beach still seems to be doing quite well, though they don't release sales/attendance figures (at least not that I know of), so it's hard to say. I doubt CF would be interested in the park though - there's a lot more money to be made at KI, and The Beach would go broke if they tried some of the stuff CF has done (overpriced food/lockers, turning the waterpark into more of a concrete jungle, etc.). I would actually beg to differ that The Beach is doing well. They have a lot of financial issues such as telling employees to go straight to the bank to make sure their check clears and cancelling their Winter event, due to finances. Yes my boys it was one of their favorite rides, I wish at the top where the guy is you could say no soaking from the snoopy. So yes I've protected my boys many of times too. Its a memory builder kind of ride. So the beach winter event that they had locked up really except competing with the zoo, and a drive thru sharon woods was cancelled because of finances? That seems like it would make money for them to me atleast. Will the beach be here in 5 years? Hope they make it, as i kind of wish Surf Cincinnati would have made it too, even as a night time /Caddy's fun it was interesting. I know we tried the caddy's / night time water park it was cool, to relax with drinks, and some club atmosphere. ...and The Beach would go broke if they tried some of the stuff CF has done (overpriced food/lockers, turning the waterpark into more of a concrete jungle, etc.). I haven't been to The Beach in a few years, but I distinctly recall food prices on par - if not more inflated - than Kings Island's. I also remember a "Roller Bowler" style game, similar to what KI has, but at four times the cost with smaller prizes. The whole atmosphere reminded me of a cheap fair or carnival, only with a lot more water. I could be wrong, as I haven't been there in several years either. I just remember that in 2006, when I worked at Dippin Dots, their small Dippin Dots was cheaper than the equivalent size at KI (though at the time, that was also the only size they offered - they started selling three sizes in 2007 as I recall). If I remember right the roller bowler is onl $.25 at KI. I could be wrong. If I am right then The Beach has no charge for their game.